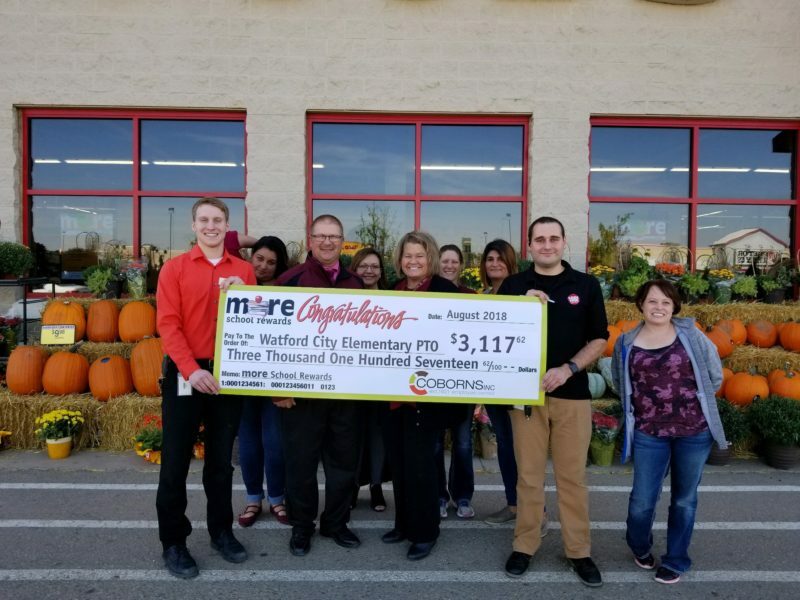 Three Coborn’s, Inc. Bake Shoppe employees were recognized at a company Quarterly Meeting in November for assisting a co-worker during a medical emergency over the summer. 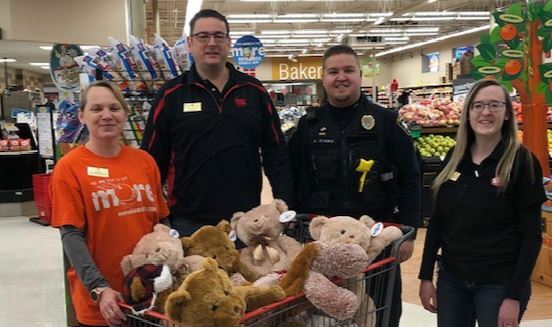 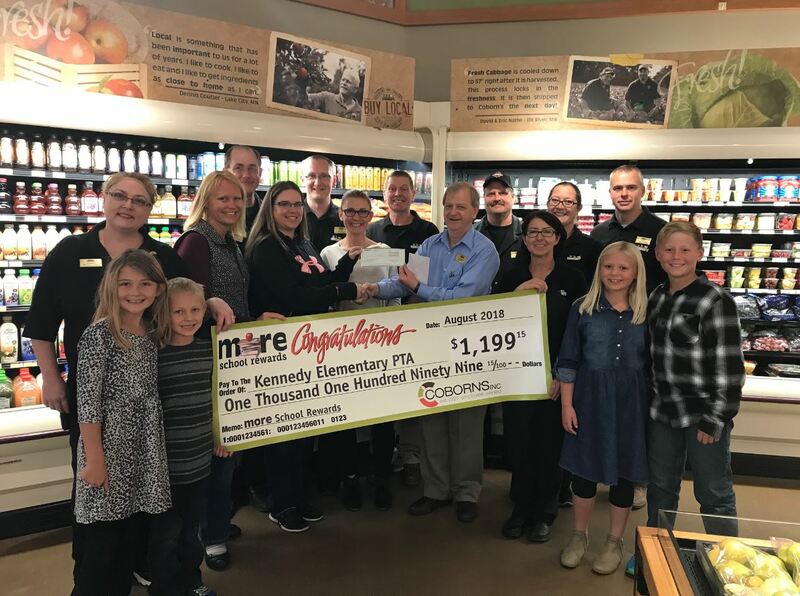 Kevin Budde, Linda Jenson and Jim Majchrzak all stepped in to help their co-worker until paramedics could arrive at the Coborn’s, Inc. Bake Shoppe to assist. 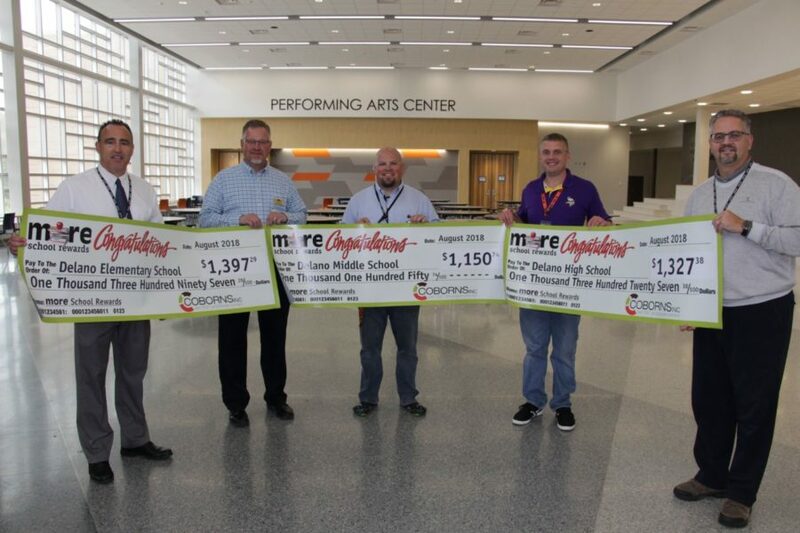 During the meeting, Chris Coborn (Chairman, President & CEO of Coborn’s, Inc.) recognized the employees. 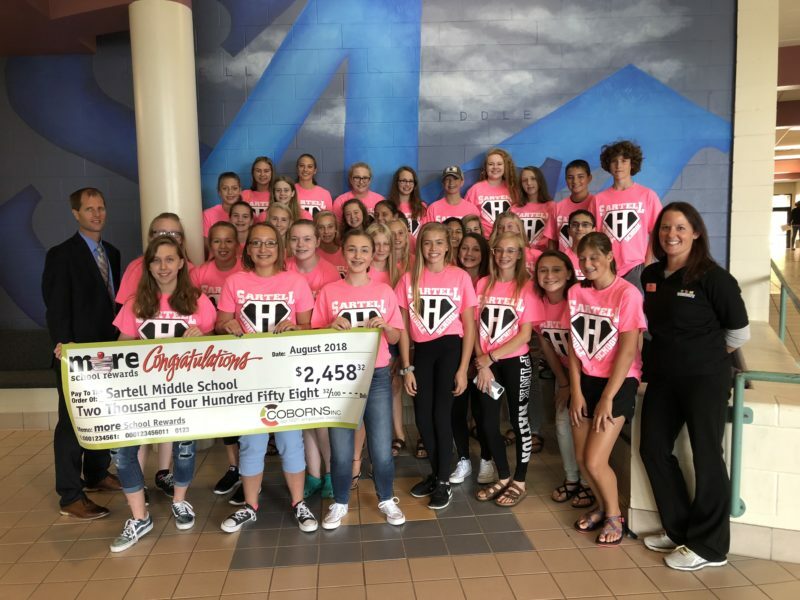 Firefighters from the St. 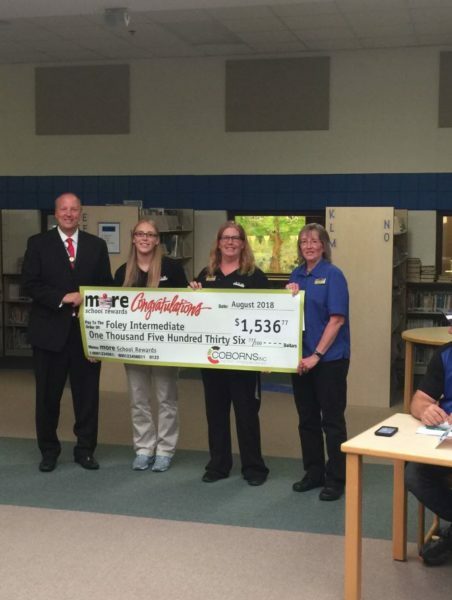 Cloud Fire Department also attended and presented all three employees with an award for their quick thinking and action. 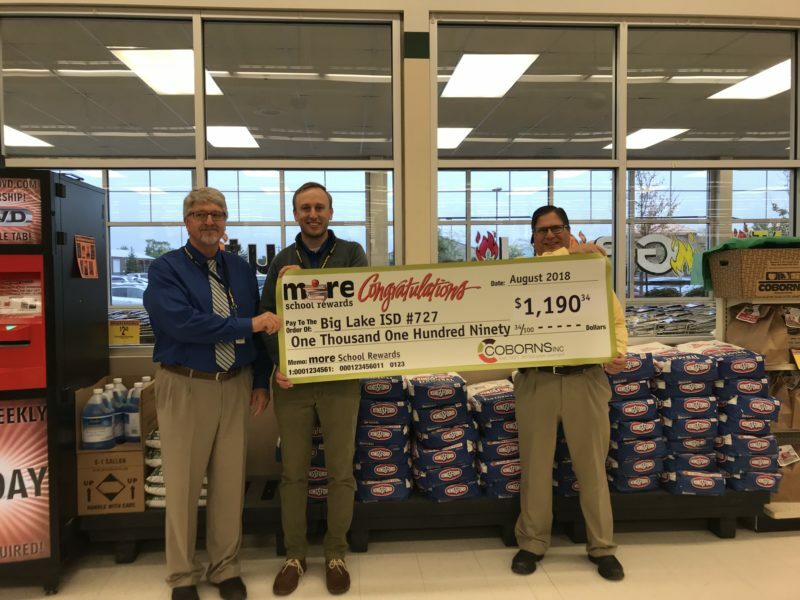 Kevin, Linda and Jim’s important efforts helped save the life of their co-worker that day. 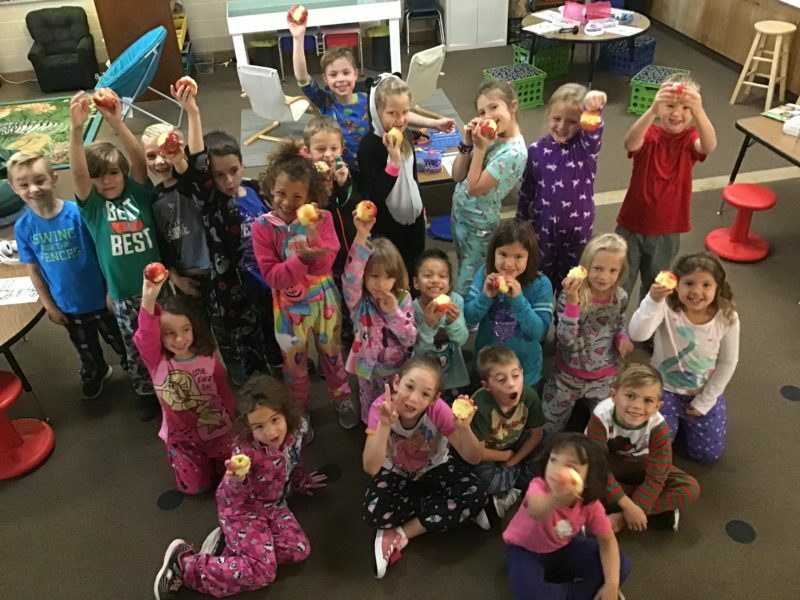 Coborn’s, Inc. continues to share financial resources with organizations in the communities it serves that specifically support efforts to end hunger and that benefit health and wellness and enrichment opportunities for children. 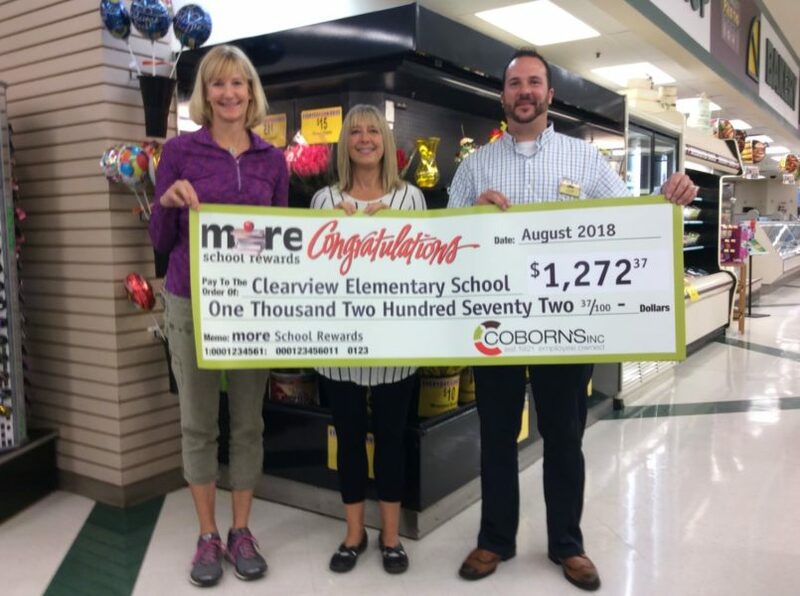 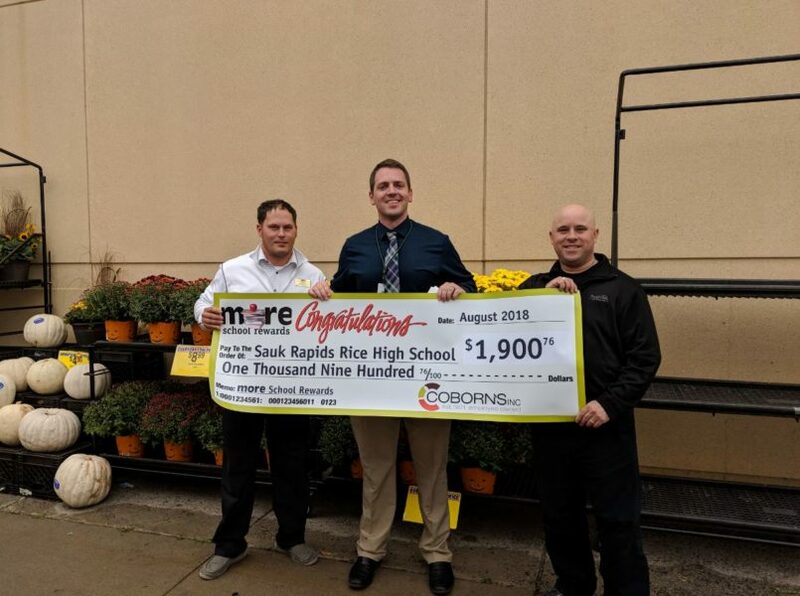 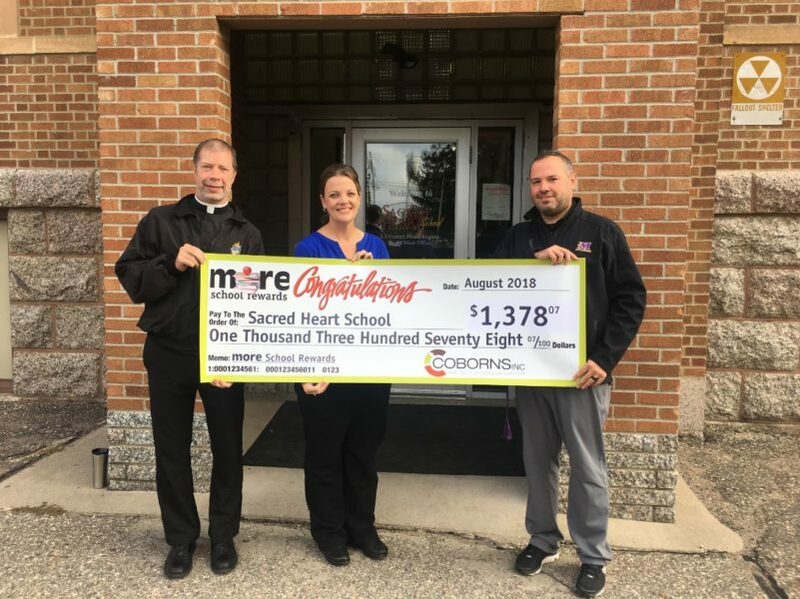 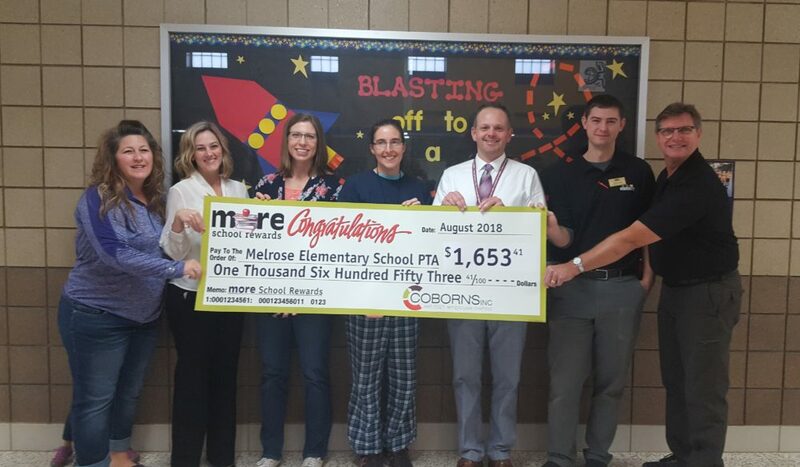 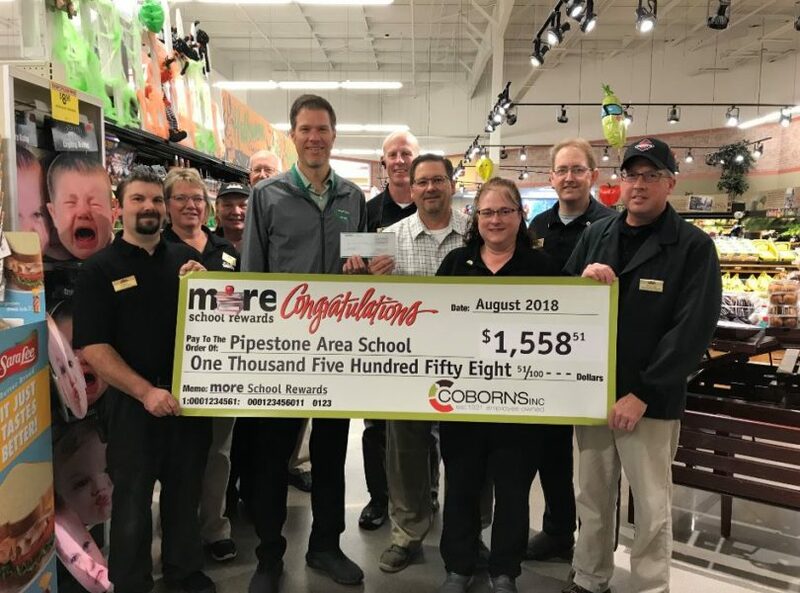 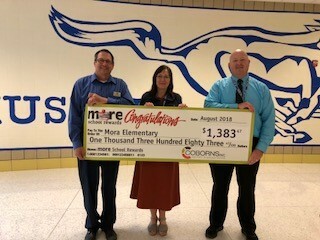 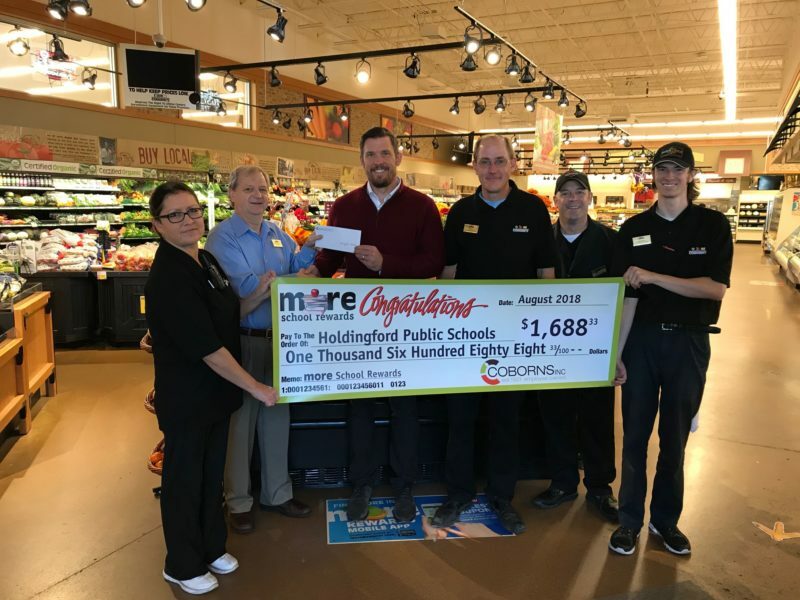 In 2017, Coborn’s, Inc. set aside $150,000 to be donated to local schools through a new program called MORE School Rewards, part of the MORE Rewards program. 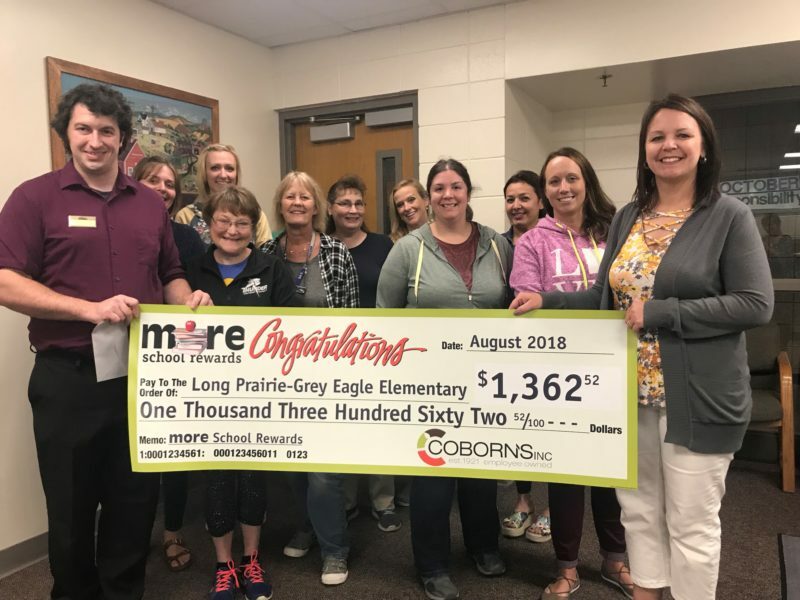 This program is a reinvention of the former Labels for Learning program. 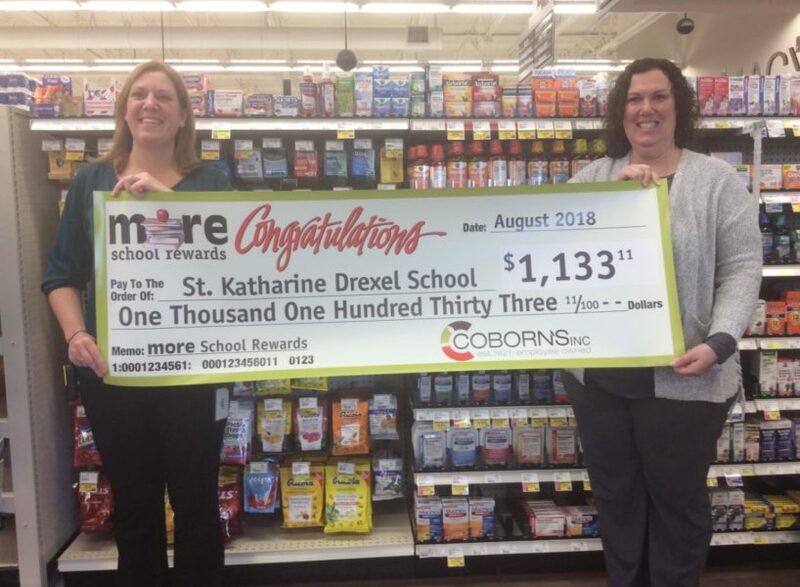 During the 2017-2018 school year, guests had the ability to select a school they would like to help Coborn’s, Inc. support within the MORE Rewards app and website. 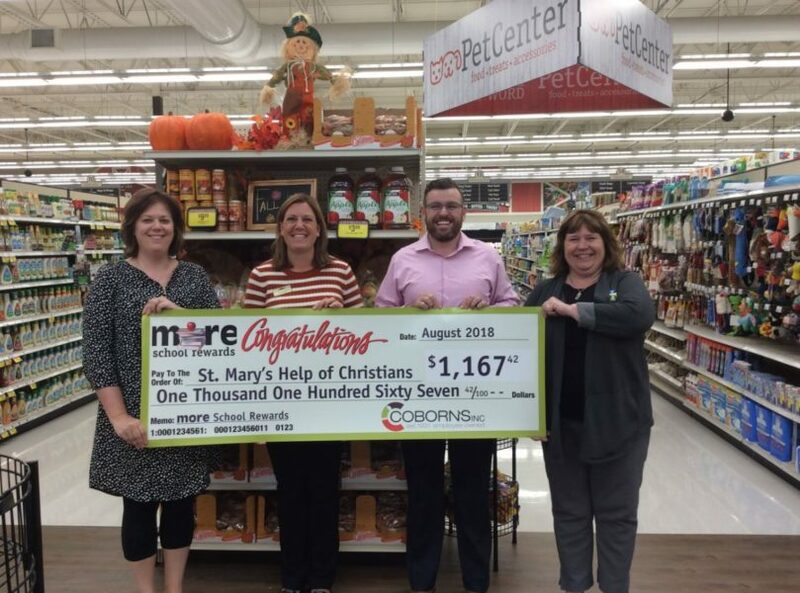 As enrolled guests shopped Coborn’s, Cash Wise and Marketplace Foods stores between September-May, they earned points for the school of their choice when they purchased items under a variety of brand names including: Food Club, Full Circle, Top Care, Four Brothers, Tippy Toes, Cow Belle Creamery, Over the Top, Culinary Tours, Harvest Club, Ale Haus, Pure Harmony, @ease, Nostimo, Buckley Farms, Boulder Burger Company, Simply Done, Wide Awake Coffee Co., VALUTIME and Sweet P’s Bake Shop. 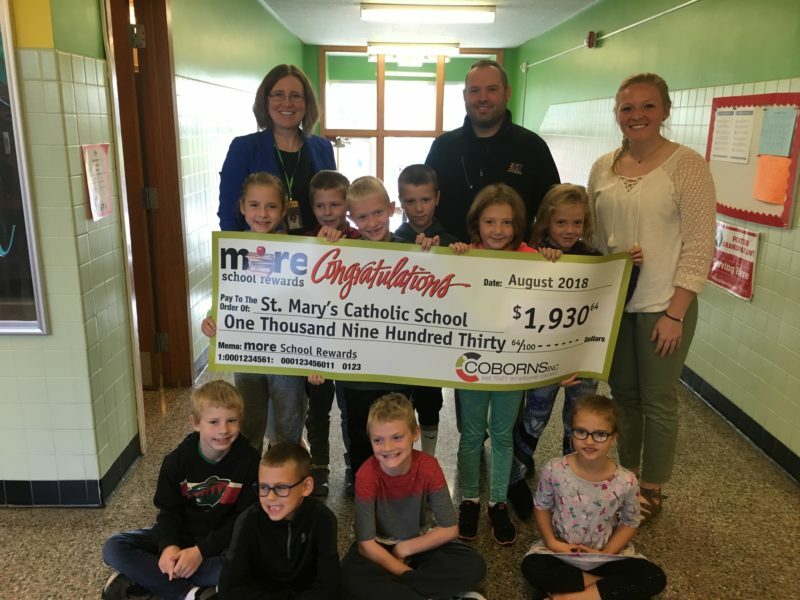 Each participating school then received a percentage share of the available dollars based on the amount of points they earned at the end of the 2018 school year. 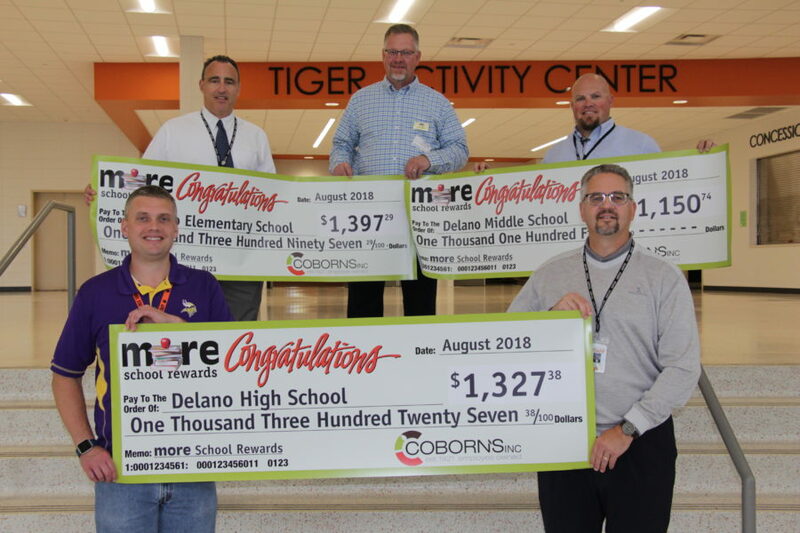 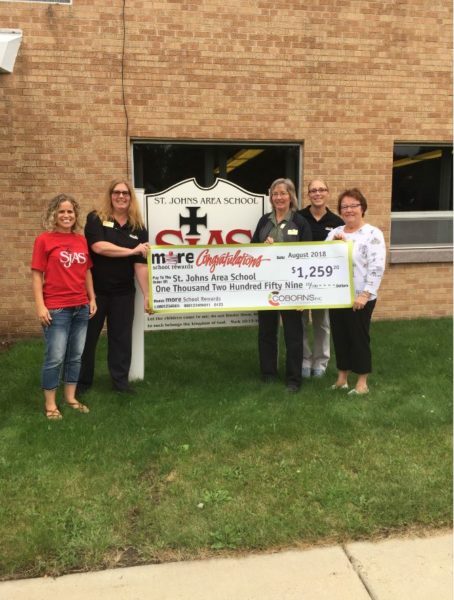 Throughout the months of September and October, Coborn’s, Inc. Store Directors presented their share of the funds to area schools. 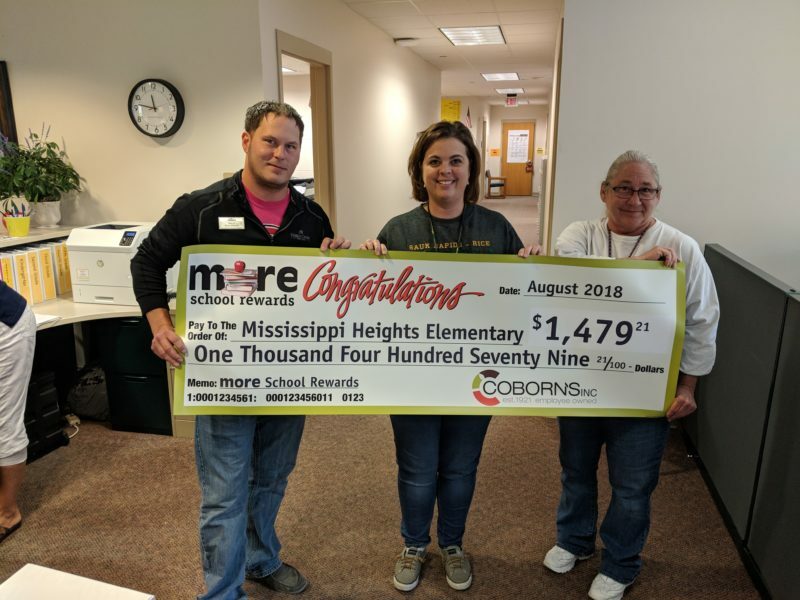 MORE School Rewards is available for the 2018-2019 school year. 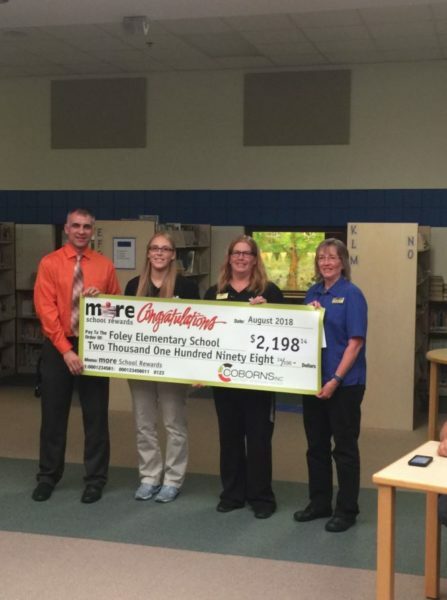 Guests who wish to participate can select the school they would like to support through the MORE Rewards app or MORERewards.com. 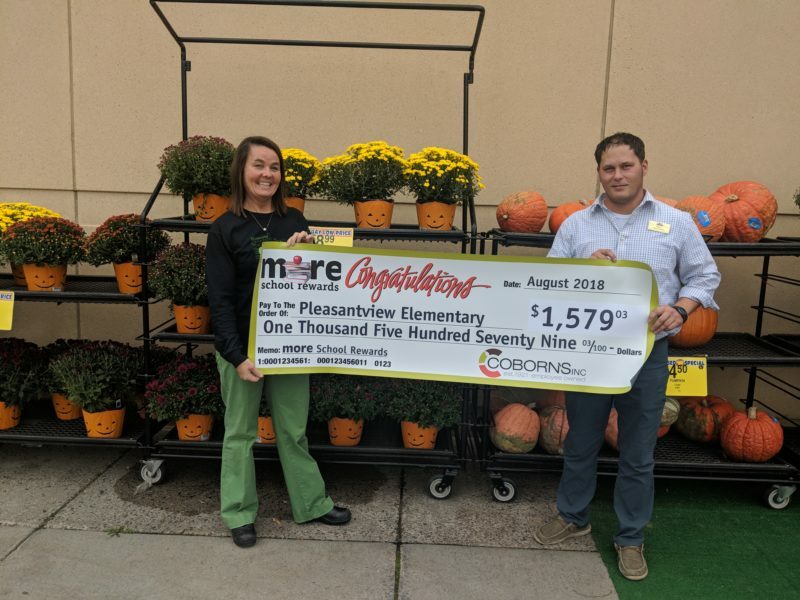 Guests are also able to track their progress on both platforms throughout the year, making the experience even more engaging.